Between the two directors and brothers Alex & Anthony Georgiou have a combined thirty years of experience in the London property market. This has enabled consistent growth in the firm since its inception as a large majority of our landlords & vendors have been introduced via recommendations from previous satisfied clients. 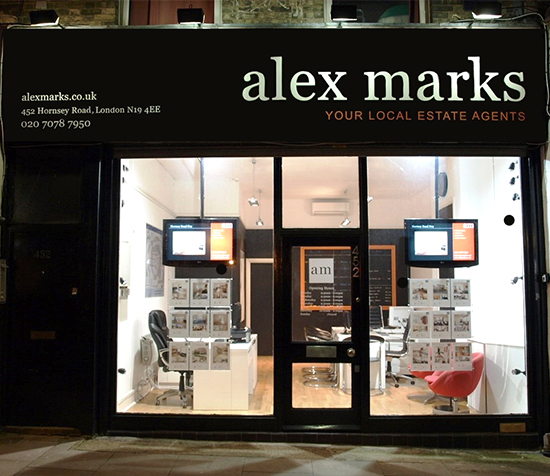 At Alex Marks we place a firm focus upon providing a simple and satisfying service to tenants, landlords, buyers & sellers. It is our belief that finding the right property should be a pleasure and not a chore; a belief that forms one of our main goals. We also pride ourselves on our ability to find the correct client for landlords and vendors alike to ensure swift and harmonious transactions. With these goals and beliefs in mind we place customer service as our first priority and commit to regular contact with clients, whether providing updates or just for a friendly chat.